Taking care of your skin is not just an important thing to do, but for us ladies, it’s practically a daily necessity. We spend all kinds of money on skin creams and exfoliating washes just to keep our faces looking smooth, supple and young-looking. Hey, I’m not pointing any fingers. I’m guilty of all of this myself! Now, there’s nothing wrong with any of this, as far as I’m concerned. But the truth is, no matter what we do to try to keep our skin looking young, Mother Nature will always get the final say. This is something my friend Karen’s mother found out the hard way. See, the thing is Karen’s mom – “Momsy” to us – is still quite young looking. In fact, my friend’s and I often marvel at her youthfulness and make claims of hoping “to look like her when we’re her age”. The thing is though, Karen’s mom had an issue with her upper cheeks for quite some time. It almost appeared as if she put on too much blush or something. We discovered, however, that Momsy wasn’t much of a makeup-wearer. Instead, she was experiencing some type of skin damage that none of us knew much about. The thing is, she didn’t know much about it either. So we could certainly tell that it was bothering her. “Dry” and “irritable” were the words she used most often to described the extra rosiness of her cheeks. This started Karen’s mom on her journey towards getting a Chemical Peel. Now, as with many skin treatments, the name itself can be a little bit intimidating. “You mean they’re going to peel your face off?” Karen once asked nervously. Not quite, I soon learned…but those rosy cheeks wouldn’t stand a chance. 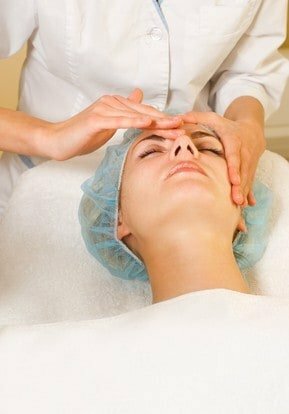 A Chemical Peel, we learned, removes damaged skin by targeting a specific layer. Essentially, it exfoliates and dries out the problem layer so that the body will remove it exposing the healthier, younger looking skin underneath. 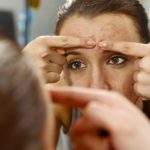 This type of treatment has been known to assist people with such things as their acne, brown spots or sun damaged skin. Momsy was in and out of the clinic with a half an hour. Just a week later, Karen’s young looking mom looked even younger! Not to mention, the dry “rashiness” that was plaguing her was a thing of the past. 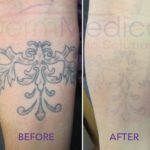 It’s a wonder how much the Chemical Peel was able to help her to shed her damaged skin…and peel away her frustration as well!